CMR Entertainment can cover the whole room, or just the dance floor area if you would prefer. We can also use our uplighting package to create a stunning entrance to the venue, or as a DJ or Band backdropgiving your event that special and elegant look. 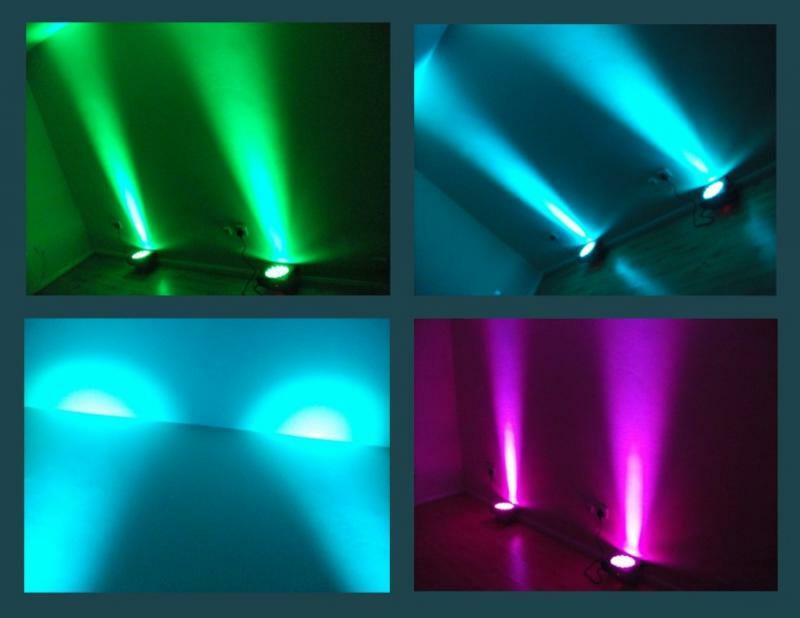 We provide the ideal look for ou LED uplighting, transforming a dull or white room with a color or colors of your choice. The beauty of LED light technology means that by mixing Red, Green and Blue LEDs, we can create thousands of different colors to match alsomost any color of or colors of your choice. Each light can be individually controlled, so its possible to have one single color throughout the room, or alternating colours, or even a random assortment of colors. We can create any effect you like. LED Lights don't get hot and they consume very little power, which makes them an ideal for any occasion even when there are small children around. We also have wireless uplighting options available for lighting tables in any location of the room. Our lighting specialists are available to help make your lighting ideas and dreams of your perfect decore a reality.